Customer service, community support, health education, innovations and positive health outcomes are the goals of Lim's Pharmacy. We believe we have a duty of care to support and help our community. Through the support of our diverse community, we have been privileged to have received the prestigious QCPP Pharmacy of the Year 2013 award for Excellence in Community Engagement and Overall Winner (videos can be found at the bottom of the page)! 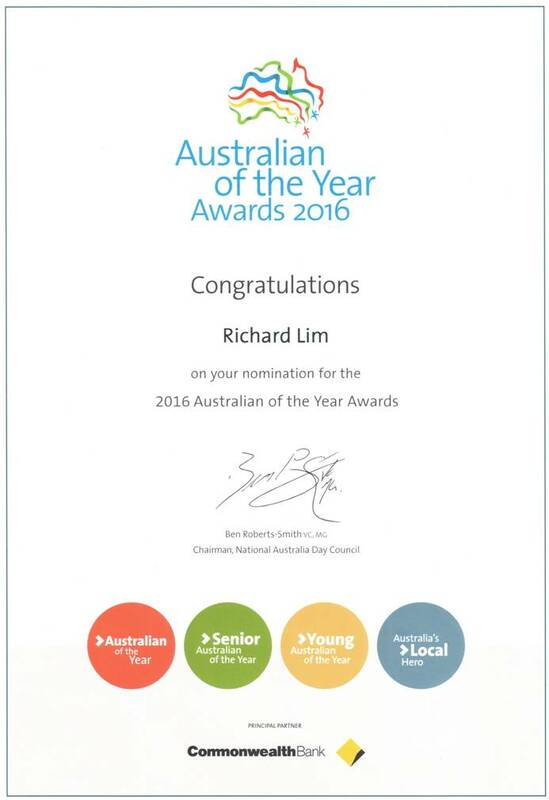 In addition, having won the 1999, 2000 and 2001 Australian Achiever Awards and the Highly Recommended Award in 2003 and 2004, Lim's Pharmacy has a solid reputation within the community for its excellence in customer service. Ever since his escape from the once war-torn Cambodia, Richard has lived by a strong passion to serve the public and give back to the community. He has shown this passion through many prominent acts of kindness and efforts to support the community, such as sponsoring, attending and holding fundraising events, establishing and developing community groups and contributing largely to worthwhile causes, while also making his pharmacy a community hub for health seminars and services which cater to the multicultural population. Medal for serving and contributing to the Springvale Ethnic Chinese Elderly Caring Friendship Association, which was presented by former Federal Senator, Mr. Tsebin Tchen, who is currently a Victorian Multicultural Commissioner. 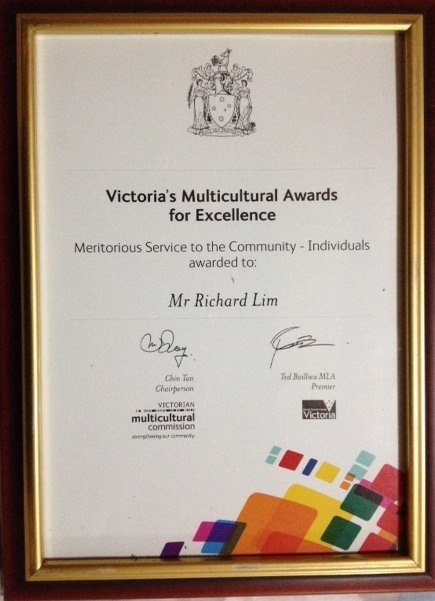 Multicultural Award for Excellence from the Governor General of Victoria, Alex Chernov. 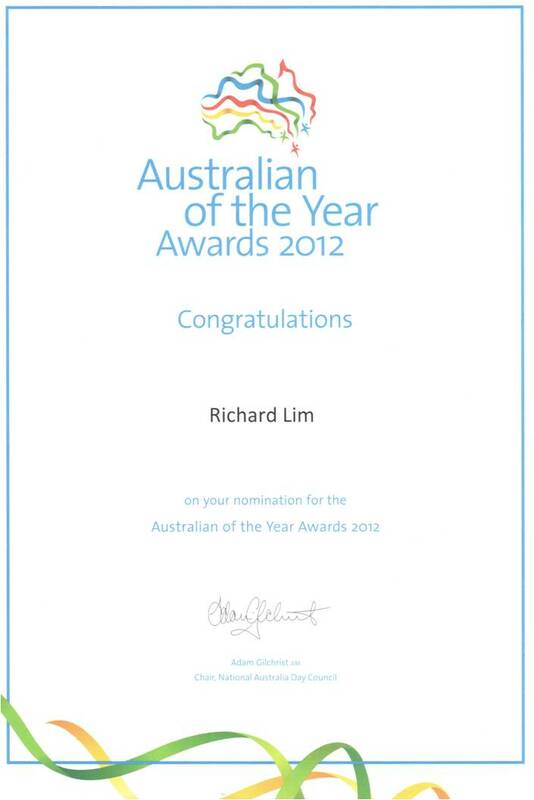 Australian of the Year 2012 and 2016 nominations. 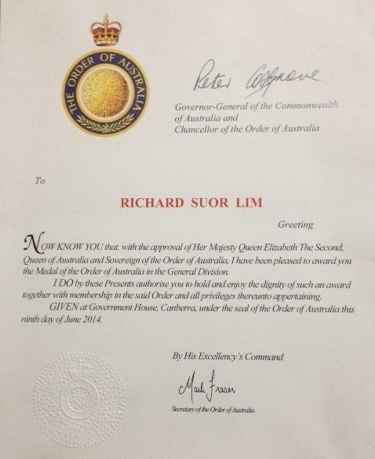 Order of Australia Medal, presented by the Governor of Victoria, Alex Chernov. Named a Paul Harris Fellow, for outstanding contribution to local and international charities. Medal from the Cambodian Government for contributing to the SCCFA School in Cambodia, and to education in general.